The INF Treaty between the United States and the Soviet Union signed in 1987 on the elimination of their Intermediate-Range and Shorter-Range Missiles, is one of the pillars of the present nuclear arms control architecture. It is a unique document in that, unlike other nuclear engagements, it totally prohibits a whole category of weapons: the ground-launched ballistic and cruise missiles with ranges of between 500 and 5.500 kilometres. It only binds two countries, the United States and the Russian Federation; all other countries are free to produce and deploy those weapons with the exception of states subject to specific UN Security Council sanctions. So far efforts to extend this limitation to the rest of the world have failed and there is no general international rule prohibiting missiles and other nuclear delivery means. An additional peculiarity is that in 1979, in order to obtain the removal of the new Soviet SS-20 intermediate range missiles, NATO embarked in a program to deploy in Europe 464 US ground-launched cruise missiles (GLCM) and 108 Pershing II ballistic missiles: a costly bargaining chip! By 1991 the treaty signed by presidents Reagan and Gorbachev led to the extraordinary result of the physical destruction of 2.692 missiles belonging both to the Soviet Union and the US and corroborated by the most stringent verification regime in the history of nuclear arms control. This made the treaty a key factor leading to end the cold war and to become one of the most tangible symbols of the new detente. After the dissolution of the Soviet Union, it was extended to the former Soviet republics with the exception of the Baltic States. Although being one of the success stories of nuclear disarmament, the treaty now risks becoming another victim of the progressive de-construction of some of the major arms control engagements such as the US withdrawal, in 2002, from the ABM Treaty (the Anti-Ballistic Missile agreement which had established a limit the number of anti-missile installations by the US and the Russia), the suspension by Russia, in 2007, of the implementation CFE treaty (Conventional Forces in Europe , which reduced the number and the deployment of conventional forces) and Moscow’s violation, in 2014, of the 1994 Budapest Memorandum assuring the territorial integrity of the Ukraine in exchange for the removal by Ukraine of nuclear warheads and missiles which had remained on its soil at the time of its independence. In spite of the fact that both Russia and the US have correctly implemented the INF treaty, there have been clear indications, especially from the Russian side, of dissatisfaction for the unsuccessful multilateralization the INF’s very stringent norms. Russia is now surrounded by countries (China, India, Pakistan, Iran, DPRK) possessing the intermediate range missiles which Russia can no longer possess. Moscow is also concerned by the US missile defence deployment in Europe and East Asia. In the United States, John Bolton, an Under Secretary of State for Arms control under the Bush administration and a traditional fustigator of arms control, suggested that both Russia and the US must either expand the INF Treaty’s membership or abrogate it entirely; a solution not too distant from Russian views but which might lead to a new arms race. The situation became more critical in 2013 when, according to press reports, the US administration raised the fact that although the pact prohibits the production and flight testing of new INF systems, Russia had been testing a new cruise missile belonging to the INF category. In the 2014 and 2015 editions of its report on Compliance with Arms Control Agreements, the US formally charged Russia with violating the INF Treaty although publicly withholding details about either the missile or the data used to determine that it was a violation. Moscow refused to even acknowledge conducting such missile tests. Instead it accused the United States of using intermediate-range missiles as targets for missile defence systems, the use of drones as weapons delivery vehicles and the planning and possible use on land of navy missile defence interceptors . The US denies any violation and republican congressmen are pressing the administration to react more vigorously to Russia’s alleged violation of the Treaty. In order not to exacerbate the dispute, both Russian and US administrations have so far shown a certain restraint in publicly dealing with this question. It is probably for this reason that the US has not yet raised it in the Special Verification Commission established by the INF precisely to address compliance concerns. Europe played no direct part in the INF negotiation: a common foreign and security policy did not exist at the time of its entry into force. However the Old Continent was the theatre where deployment of such missiles took place. Despite strong domestic opposition, five EU countries accepted the deployment of American Cruise and Pershing “Euromissiles” on their soil; Belgium, Germany, Italy, the Netherlands and the UK. 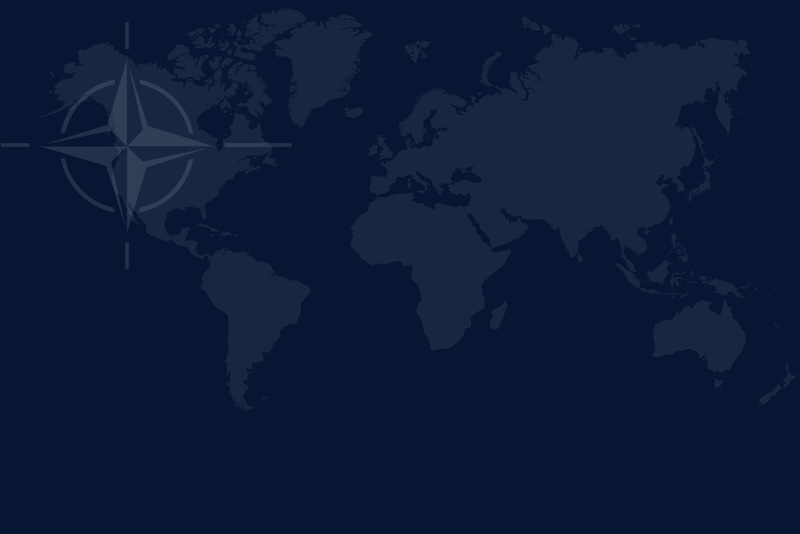 European NATO members actively participated in the crafting of a position within the Alliance which was then brought to the negotiating table with the Soviet Union by the US. A special coordination was established between Germany and Italy, the two major continental deployment countries. The location of the deployment in Italy was the base of Comiso in Sicily. The survival of the INF treaty is key for European security: proof that security and stability can be increased through arms control negotiations and not necessarily through an arms race. Its possible extinction would therefore be a further unfortunate step in the creeping erosion of the main nuclear arms control arrangements. Should such a prospect materialize, one of the possible outcomes could be the redeployment in Europe of the systems which were removed 25 years ago. Such a dramatic step backwards must be avoided. In its Summit in Wales in 2014 NATO defined the INF Treaty a “a crucial element of Euro-Atlantic security” and called on Russia ” to preserve the viability of the INF Treaty through ensuring full and verifiable compliance”. It is to be expected that these concerns will be raised again at the incoming NATO summit this year in Warsaw and EU NATO members will certainly endorse a new NATO statement on INF. The EU ministers belonging to the G7, including EU High Representative Federica Mogherini, have already made such an endorsement recently at a G7 gathering in Hiroshima. The issue could also be addressed within the framework of the Missile Technology Control Regime (MTCR), the multilateral body designed to prevent the proliferation of missiles which have the capacity to deliver weapons of mass destruction. The EU, the US and Russia still cooperate constructively in pursuing the MTCR objectives. But in view of the relevance of this issue for its security, it is necessary for Europe to also play its part by addressing the implications of this issue within its own security institutions. Although it is often problematic for Europe to adopt a common stand on nuclear issues, due to the different nuclear status of its members, an appeal from Brussels for the survival of INF must be loud, unanimous and clear. A return to a nuclear arms race and to a redeployment of missiles which have been successfully removed a quarter of a century ago must be prevented.